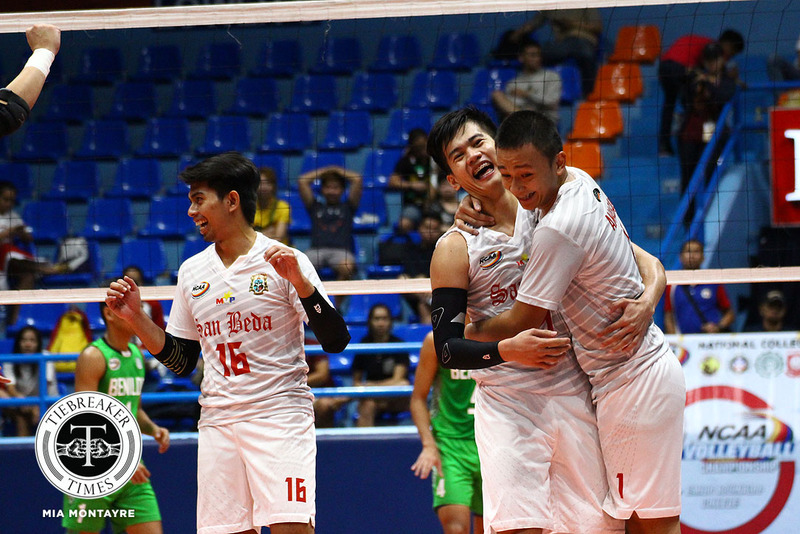 Finally, the San Beda College Red Spikers came up with another straight-sets win. 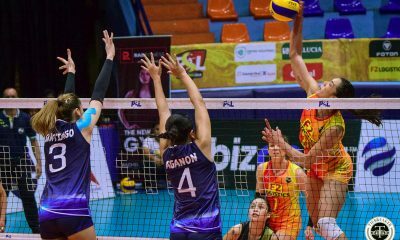 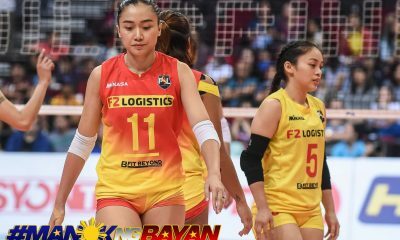 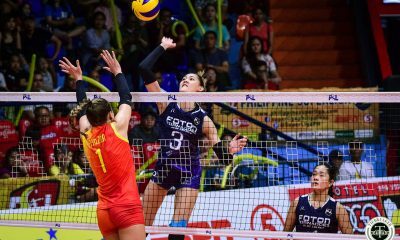 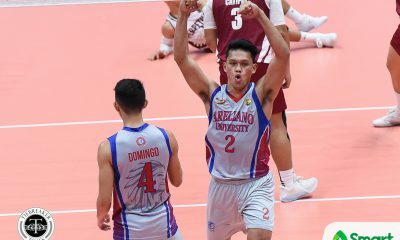 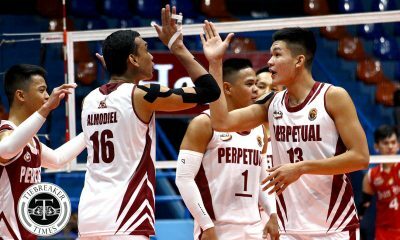 Fending off a late rally from the Lyceum of the Philippines, the Red Spikers needed just an hour to finish the Pirates off, 25-17, 25-15, 25-23, and secure their fifth victory in six outings, Wednesday afternoon at the FilOil Flying V Centre. 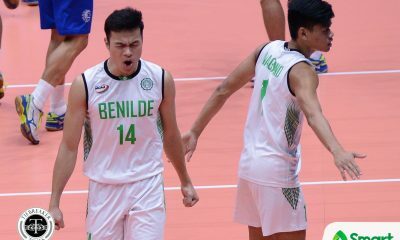 Opposite hitter Mark Encino roared with 12 points off nine attacks and three aces. 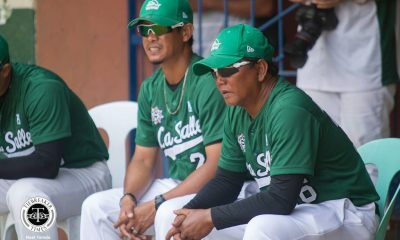 The lefty former skipper was followed by Limuel Patenio, Adrian Viray, and Lorenze Santos, who each registered 10 markers. 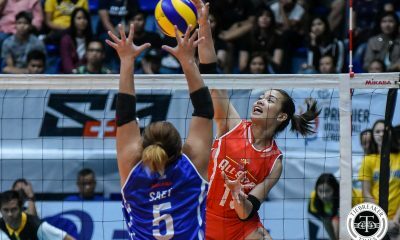 San Beda pummeled the opposition with 47 attacks and nine aces, capitalizing on service reception problems of Lyceum. 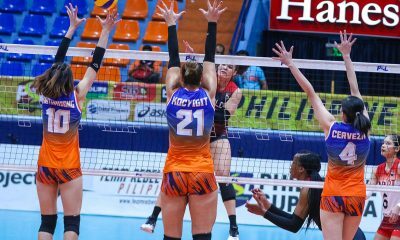 Despite their current win-loss record at 5-1 — which is good for a share of second place — Red Spikers head coach Nes Pamilar is still looking for that proper mindset. 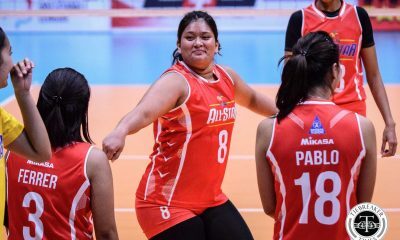 “Kasi nakikita ko sa kanila, laro lang eh. 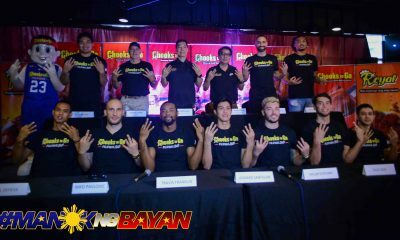 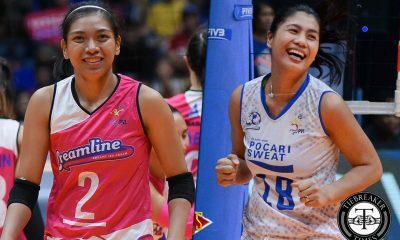 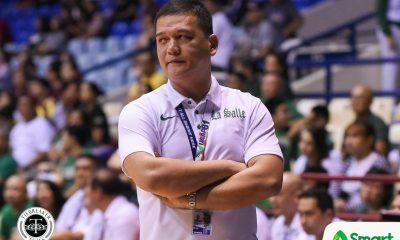 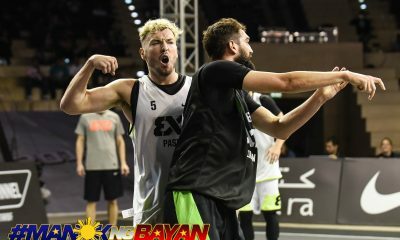 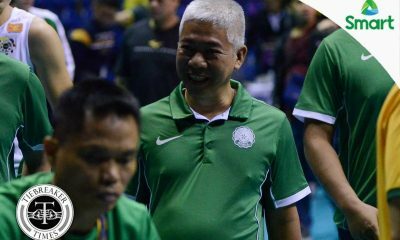 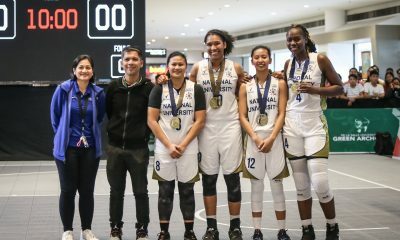 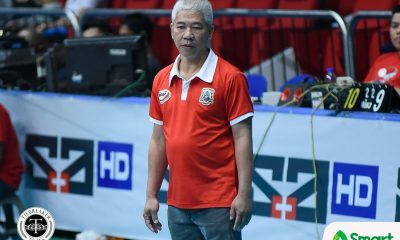 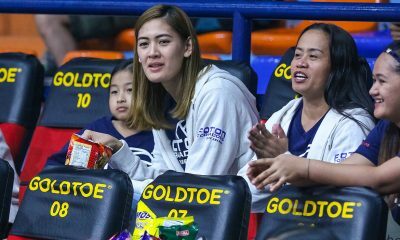 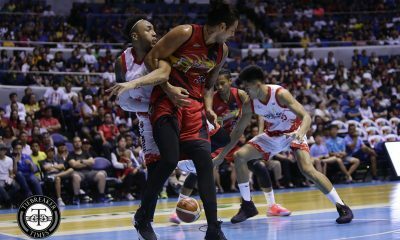 Hindi sila seryoso sa ginagawa nila,” the veteran coach lamented. 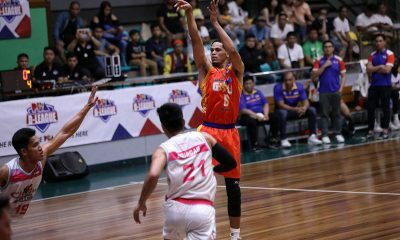 Jhonel Badua paced the Pirates with 11 markers. 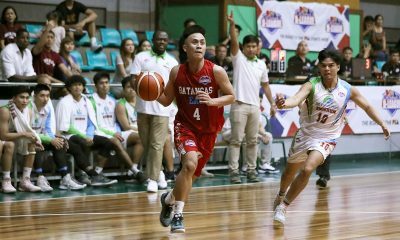 San Beda (5-1) will try to show that killer instinct when they face the Arellano University (5-1) in the lone Friday match. 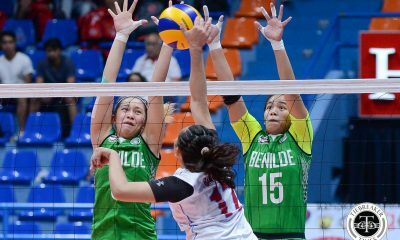 The winner of that battle will possibly make headway for one of the two twice-to-beat advantages in the Final Four. 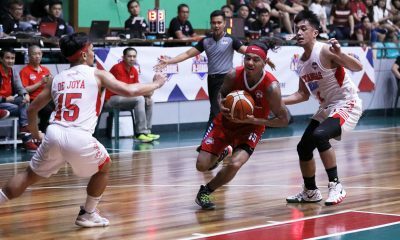 Lyceum (1-5) will face San Sebastian College (1-4) on Sunday. 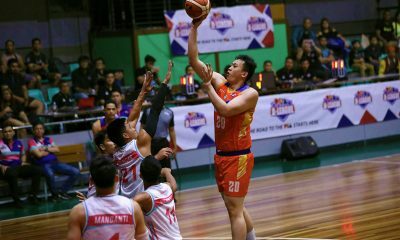 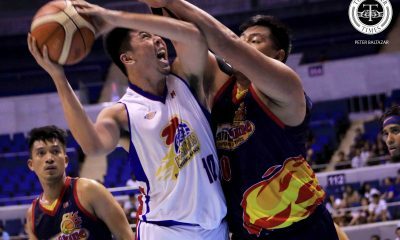 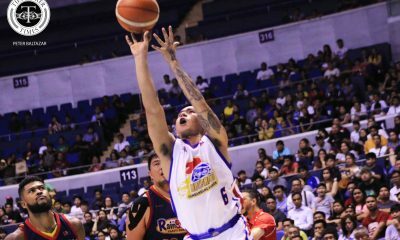 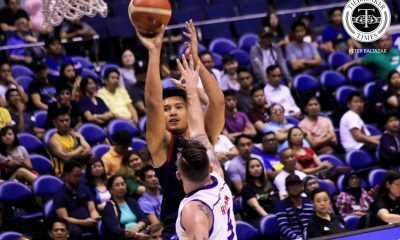 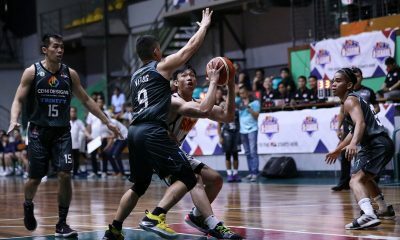 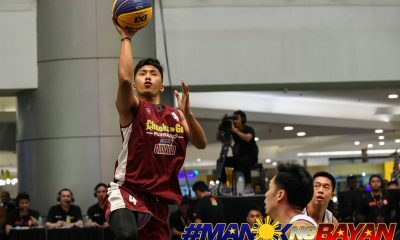 SBC 3 – Enciso 12, Viray 10, Patenio 10, Santos 10, Gonzales E 6, Desuyo 5, Zabala 4, Amagan 3, Manliclic 3, Genobaten 0, Casin L.
LPU 0 – Badua 11, Presnede 8, Samonte 6, Ilano 5, Lajara 1, Saporna 1, Estranero L.